You know what sounds good to me right now? This very instant? You know what sounds good to me most of the time? 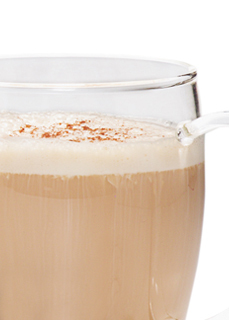 Chai Latte. It’s that good. And, this week, you can either hit up your favorite coffee shop, or follow this easy recipe to make your own at home. Your home will smell The Holidays. Your family or guests will be wowed. And those free radicals in your body? Squelched. Turns out, its black tea leaves are full of wonderful nutrients and powerful antioxidants, just like green tea. These nutrients are incredibly beneficial to a cyclists’ health and can neutralize damage-causing free radicals. This week’s Loving the Bite Recipe will put you right in the Holiday spirit. Perfect for a warm recovery drink after a cold ride or a Holiday party. If you’d like to store it, place in the refrigerator and then mix individual servings of ¾ cup tea with ¼ cup milk and ½ Tbsp honey (you can adjust ratio of tea to milk as desired). For “Skinny” Latte (non-recovery): Replace honey with Stevia. Since it’s the Holiday Season for many readers, and often busy and over-scheduled, I’ll keep it short this week PLUS offer a recipe that can reduce stress. While you know of the benefits of green tea (if you don’t, you can read all about it here), you might think less of black tea. Turns out, black tea offers a lot of nutrition, too. Both green and black tea come from the same plant, the Camelia tea plant. The difference is in the methods used for drying the leaves. Green tea leaves are not fermented; they are withered and steamed. 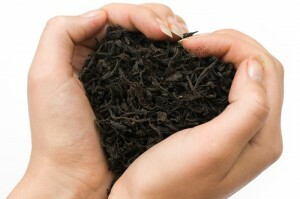 Black tea and oolong tea leaves undergo a crushing and fermenting process. Nevertheless, black tea is still loaded with antioxidants that can have a big impact on our recovery from training, health, and longevity. All this, plus the incredible benefits of organic honey and a plethora of antioxidants from spices dissolved right into every cup. And just in case you’re wondering, caffeinated drinks do, in fact, contribute to the hydration of your body when the caffeine level is less than 500 mg or so (4-5 cups strong coffee). The caffeine dehydration myth has been debunked. So, have some tea, and count it. If it’s cold outside where you live, or even if you live on a tropical island (Darryl), warm up with a delicious Chai Latte this week. We cyclists need our free-radical-fighting-antioxidants anywhere we can get them. Go ahead and ride in the cold. A nice warm recovery latte will be waiting. This sounds delicious. I had no idea what chai was made from, so this is a was really helpful to me. I can see how you could customize the recipe to your particular taste. More ginger, less fennel, lots of ways to make it your own. How long does it last in the refrigerator before it looses it’s effectiveness? As much as I love my coffee rituals, I also like hearing about alternatives with caffeine. Making a batch ahead of time could give you drinks for the week.